The founders of Adam & Eve are Adem and Carol Durmus, whose vision is to offer the authentic Turkish holiday experience to people living in the UK. Adem has 19 years of experience working as a masseur and chiropractor in hammams in Turkey before moving to Liverpool with his wife Carol. 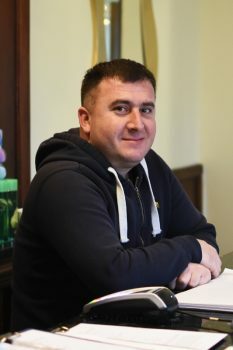 He has trained the rest of the staff in the technique of the Turkish massage, which focuses not only on the muscles but on relaxing the nervous system and helping the body detox. Carol started trading as a hair stylist 27 years ago and is a member of the National Hairdressers’ Federation (NHF). Her first salon was on Lodge Lane and has now relocated within the Adam & Eve Turkish Bath. Carol and her team specialise in European and Afro Caribbean hair textures. Adem and Carol have gathered around them a team of masseurs, hairdressers, barbers and beauticians most of whom have been working together for years. They are friendly, professional and dedicated to giving the best possible treatments to their clients. The staff caters for people of different cultures and men only or women only sessions can be arranged. The therapists are there to make guests feel at ease, so please tell the staff about any concerns or health conditions you may have.